Cellophane Gusset Bags, ideal for wrapping cake pops, cookies, truffles, slices and more. . They mea.. Handmade gorgeous 3 leaf edible holly cake decorations. Approx. 1.5" diameter. 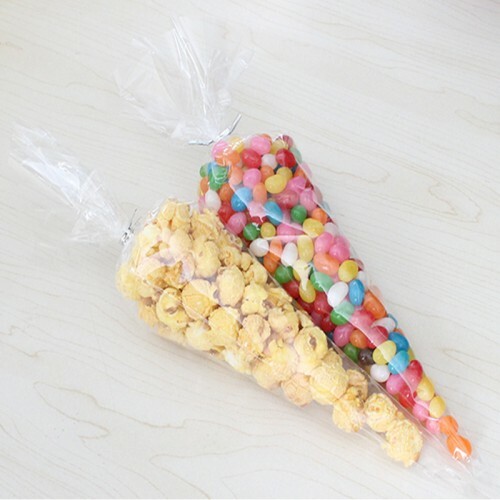 Pack of 10 for €3.95&..
Cone Shape Cellophane Bags, ideal for wrapping cake pops, cookies, truffles, slices and more. Come with a ties for each bag. They measure 350mm long. 15 per pack for €2.50. A handmade Christmas Snowman, hand painted with red and green details. €4.55 each..
Small PVC Boxes, suitable for truffles, Measuring 80x50x50mm and includes a leather effect inse..